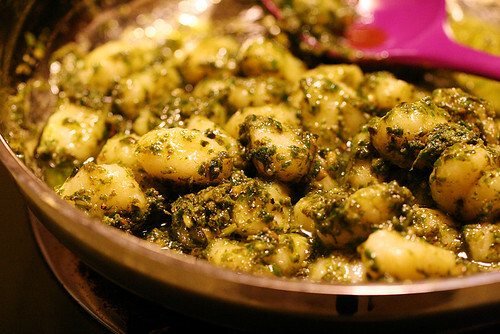 Here is some gnocchi that I drenched in pesto. By the way pesto made with walnuts still tastes good. In case you wondered.